Commercial semi-intensive yabby ponds are gravity drainable. This is achieved by installing 150 mm PVC sewer pipe into the pond base at time of construction. 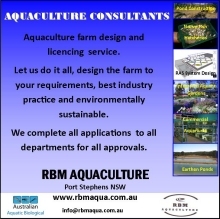 For commercial ponds construction information see “The Commercial Yabby Farmer”. 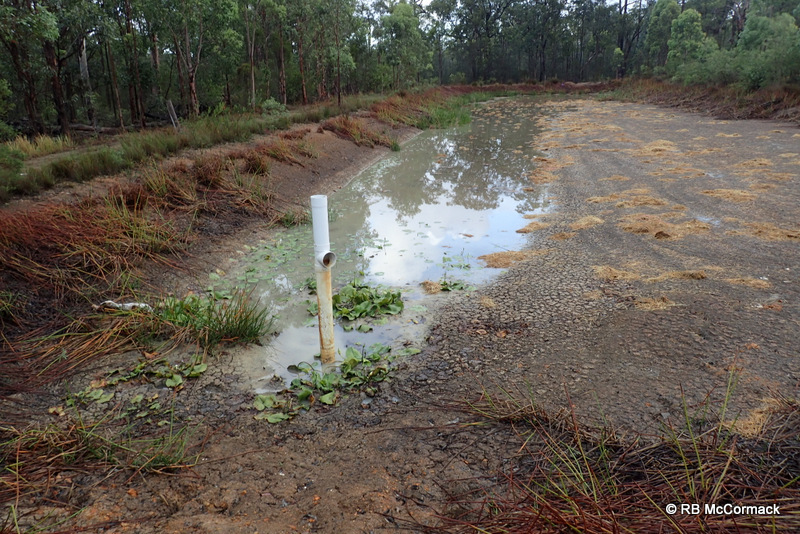 Yabby ponds are easily drained by removing the stand pipe and allowing the water to flow out. 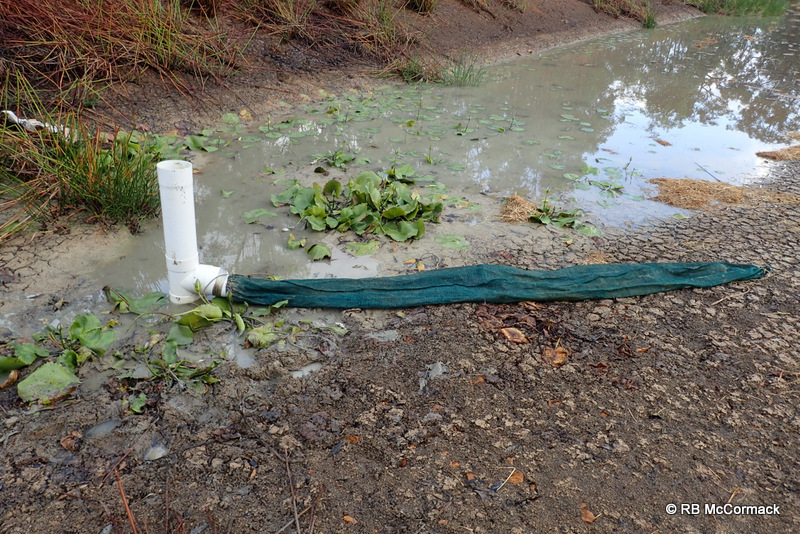 In NSW the NSW DPI Fisheries regulations require that all water drained from commercial ponds be stored and either reused or irrigated to ensure there is zero return of pond water into natural; waterways. This is a great regulation as it not only protects the environment but also ensures that water is available for reuse. With the dry weather we have been having lately in NSW it’s a great time to drain ponds, dry them out and then reuse the water to refill the pond. 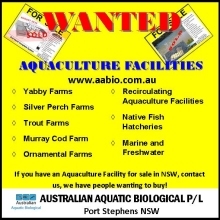 Commercial ponds are harvested heavily prior to draining but despite your very best efforts you will never be able to remove all the yabbies, especially the smaller ones. 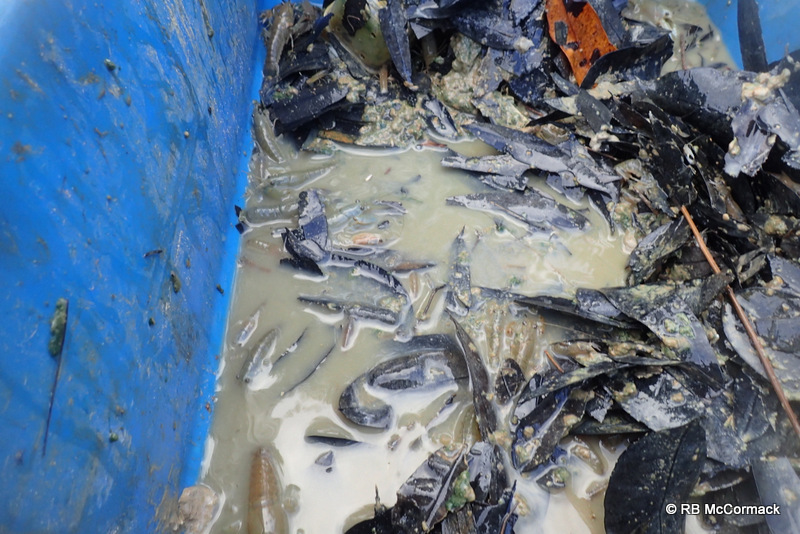 Drainage water from the commercial pond will carry a large number of small yabbies with it. Those that don’t follow the flow and remain in the pond after draining will need to be picked up by hand. 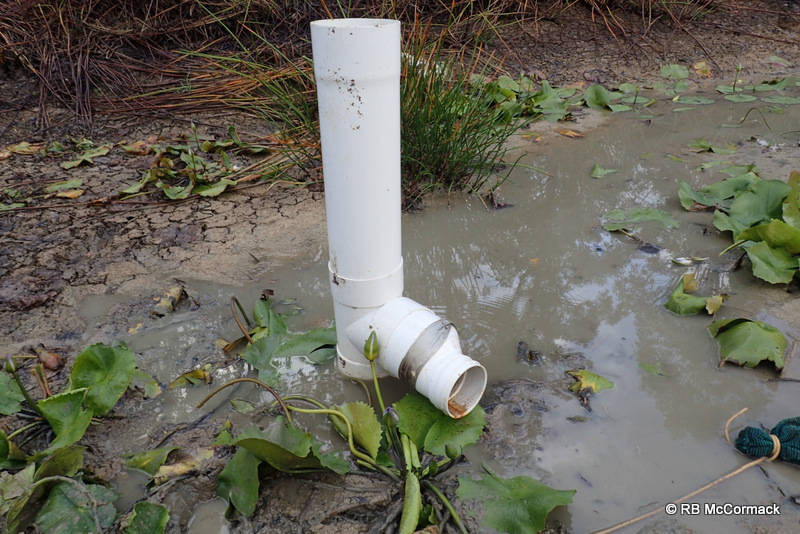 Typically, water from commercial yabby ponds drain to an effluent or sediment pond via 150 mm PVC sewer pipe. This is an effluent pond. They are mostly kept empty ready for any excess water. Water flows into this one by gravity from the ponds above via a 150 mm PVC pipe in the base. A shorter stand pipe exchanged and an outlet tee added. 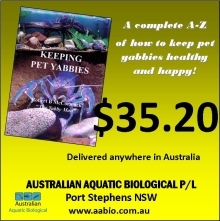 Those yabbies that flow out of the pond with the draining water are a valuable resource that should also be captured. 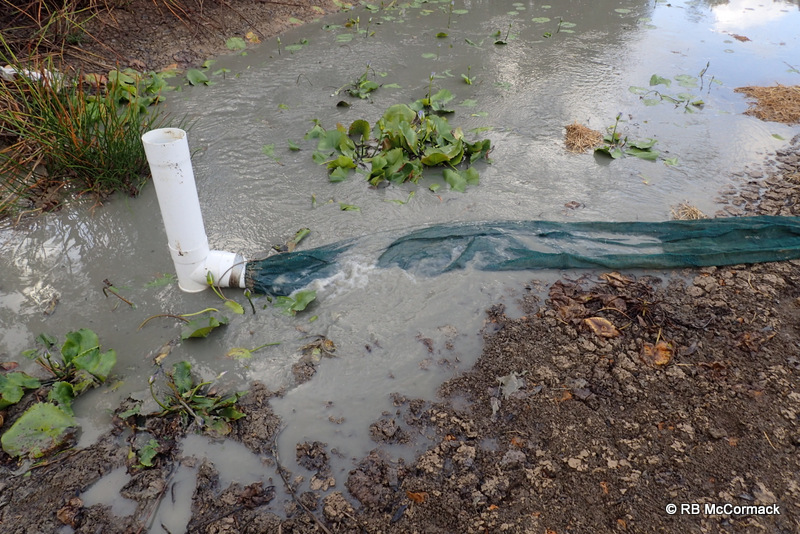 This is easily achieved by placing a sock over the outlet in the effluent pond. A sock made out of shade cloth works fine. It needs to be 4 m long and over 600 mm wide. We make our own socks, just knitted shade cloth, cut to size and sown along the seam by my wife on her home sowing machine. You can set the height you want in the effluent pond depending on the amount of water you are draining by using different sized stand pipes. You don’t want the water in the effluent pond to get above the sock level. The sock collects insects, beetles, leaves, sticks, mud and yabbies. It all ends up in the sock, just empty the sock into a number of fish boxes and sort the catch. 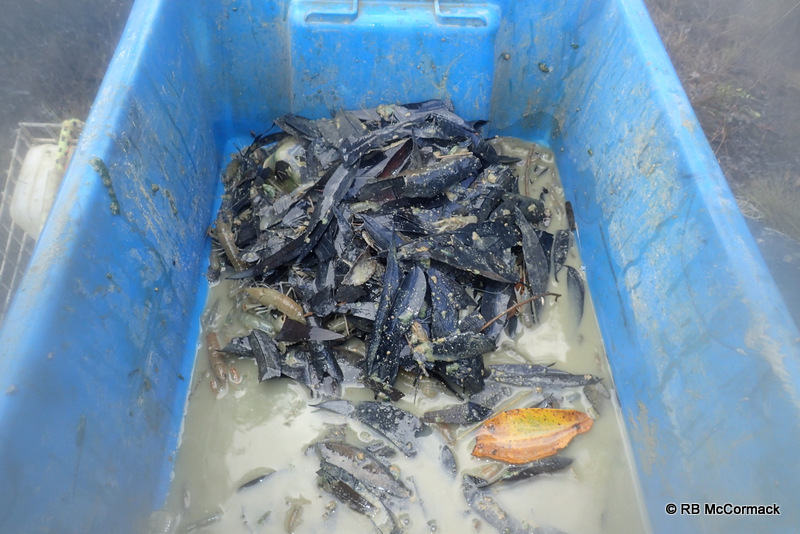 Dont place too much per box as the weight of leaves and mud can crush the yabbies. This entry was published on February 27, 2017 / Rob McCormack. 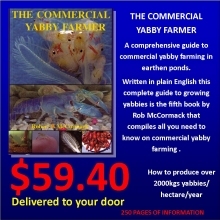 Posted in Consultancy and tagged The Commercial Yabby Farmer, yabby, Yabby farming. Bookmark the permalink.